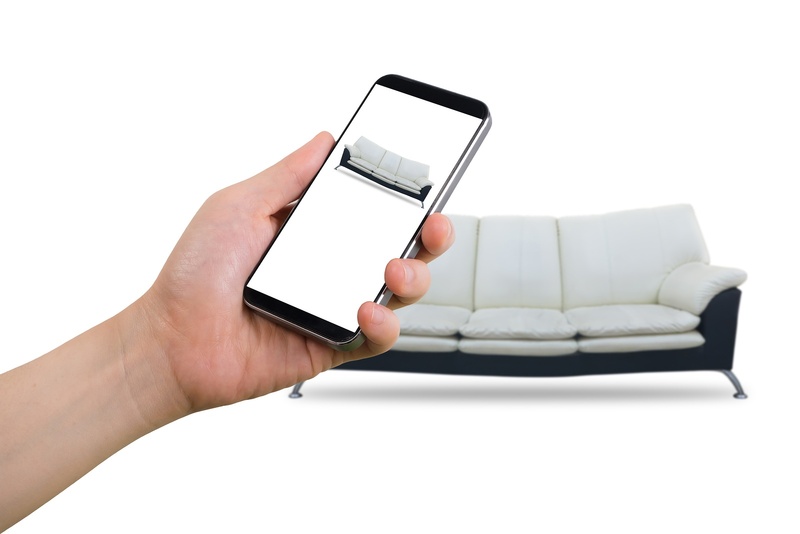 Shopping for furniture online might appeal to you because you can quickly cover more “ground” by clicking on selections at four or five stores than by traveling to those same stores by car. But not all Internet retailers are reputable or secure, so follow some vetting tips before you screen your selections. Consider shopping at retailers with brick and mortar stores. Limiting your search in this way can enable you to see pieces in person first. You also might eliminate shipping costs since many bigger stores allow shoppers to buy merchandise online and then have it shipped to a nearby store for free. Scrutinize the photos – each and every one – and take advantage of the opportunity to “zoom in” on details. Scrutinize the product description even more carefully. If something strikes you as curious, call customer service and inquire. Be watchful of colors. It's in the interest of every online furniture store to post accurate colors. But there are many shades of oak, walnut, white, black and other “basic” colors, so if you're in doubt, call customer service and ask for clarification. If you're lucky, you might even be offered a free color sample. Double-check furniture measurements – not just online but in the room where the furniture is destined to go. Ensure the piece (or pieces) will squeeze through your doors and hallways. Make your new furniture right at home with new window shades, which will provide the finishing touch to any room in your home. Call 702-260-6110 for an in-home consultation with a Polar Shades window expert – and get ready to see how a wide selection of fabrics and styles will literally put your new furniture in a new light.